Jesse has been complaining about our mattress for such a long time. I’d been putting off buying a new one for ages and ages – but then I saw an ad for Koala and I was totally intrigued. A mattress than comes vacuum sealed? In a tiny box? With NO SPRINGS?! And a mattress that's a FRACTION of the price of the ones you'll find in stores?! Surely that couldn’t be comfortable or great quality… right? When Koala asked me if I’d like to try out one of their mattresses, I jumped at the opportunity. I thought it would be the perfect way to shut Jesse up and either to find a new mattress – or prove our old one really wasn’t that bad. Was I convinced about how good the Koala mattress would be? Not really. Sure, they had lots of glowing reviews – but were they real? Could I trust them? I didn’t know anyone with a Koala mattress, so I remained sceptical; deciding I'd make up my mind once ours arrived. 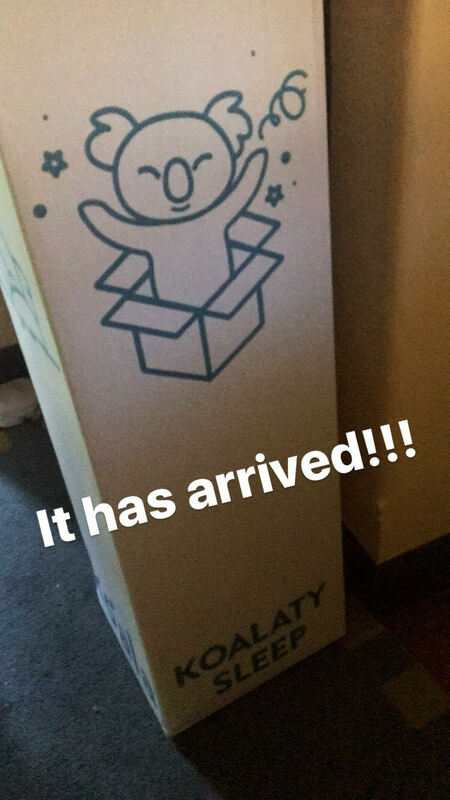 Our mattress arrived right on time (within a three-hour time period the next day after ordering it at 8pm the night before) in a seemingly tiny box. It was heavy, and I struggled to move it through the house to our bedroom. Surely that was promising? Right? 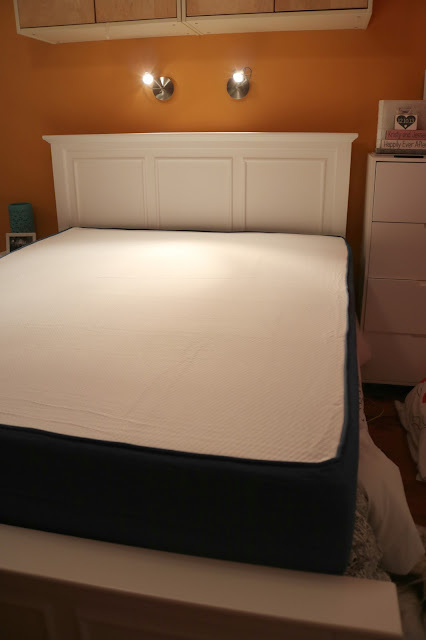 I decided to wait until Jesse came home to touch the box – scared I’d have a jack-in-the-box situation where the mattress would come flying through the top and pummel me to the ground. 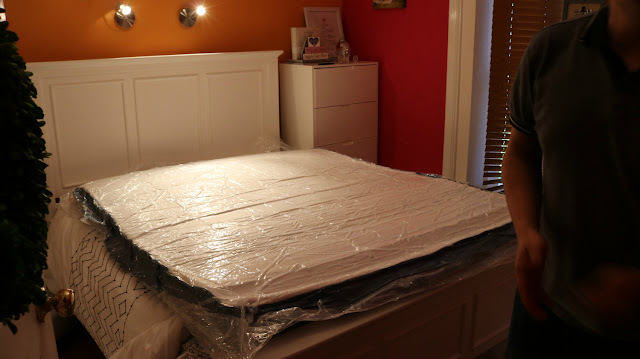 Jesse arrived home and we set to work on getting our new mattress out of the box…. And because I had no idea what to expect… I decided to video the whole process for you – so here’s what went down! As you can see in the video, out of the box the vacuum sealed mattress was tightly coiled around into a cylinder. We unwrapped and unwrapped and unwrapped and finally we got a super flat pancake looking thing – which quickly started to puff up as soon as the vacuum seal was broken. Within a few seconds, our flat pancake started to resemble a mattress – and it felt amazing. Koala say you can sleep on your mattress right away – but we left ours for a few hours (probably due to laziness) sitting on top of our old mattress whilst we watched some tv – and then came back to get rid of the old mattress and dress our new one when we were finished. The Details: Ardor Morrocco Quilt Cover, Simply Cushions Throw Cushions, Throw, Quilt, Sheets and Pillows from TK Maxx. In their FAQ’s, Koala say that their mattresses get even better over time – with the mattress taking about 3-5 days to come completely back to its correct shape and feel – but it felt amazing from that very first night. I was totally sceptical – but after sleeping on it for a week, I’m totally convinced. 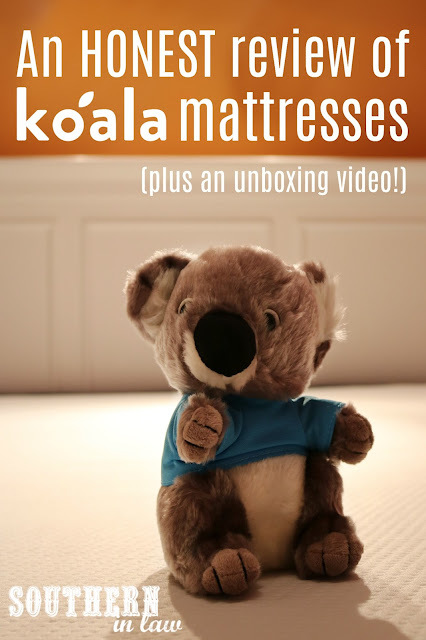 Koala mattresses are super comfortable, super affordable and seriously fun to unbox – and you even get to adopt a koala in the process (and get a cute cuddly toy!). But luckily, if you work out that the mattress isn’t your style, you have 120 days (that’s four months, people!) to return it and get your money back.. no questions asked! The mattress is then donated to charity or recycled into construction products. You can use the mattress on any bed frame – including a box spring – and they will fit with standard size sheet sets and they deliver it right to your door. 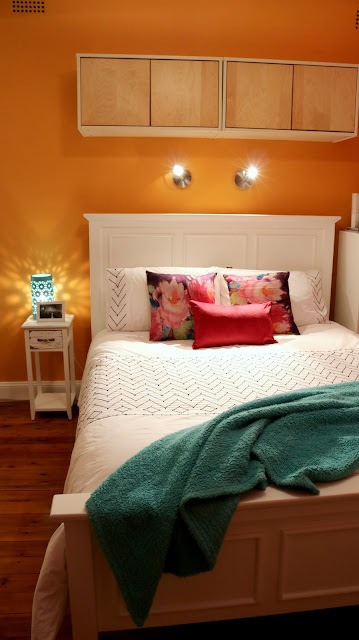 And what's one thing you wish you could change about your bedroom?